Vintage distressed shabby chic wooden jewellery box painted cream with hinged lid. 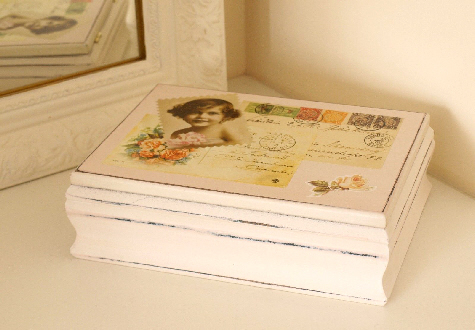 Perfect for keepsakes, trinkets & jewels. For more info’ please follow this link £17.99 Thank you.